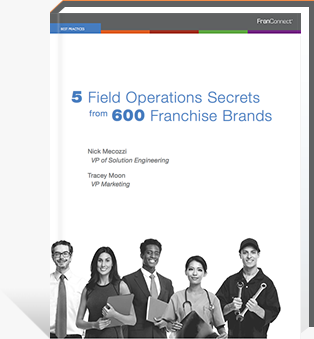 The ultimate goal of every franchise system is to ensure that every unit is successful. 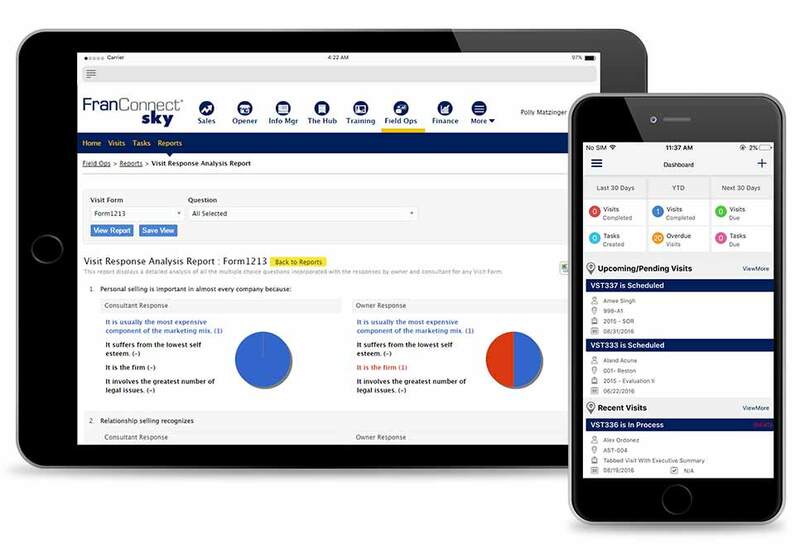 To ensure that success means managing the conversation between you and your franchisees in a way that fosters openness and collaboration. 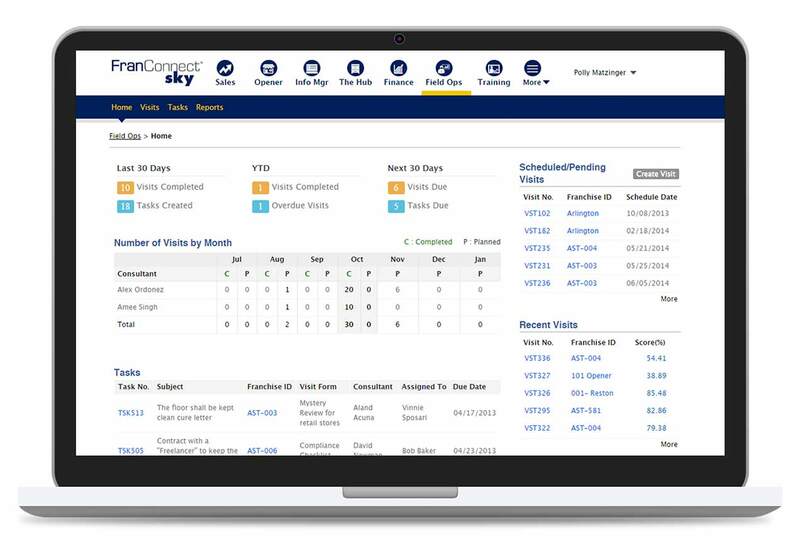 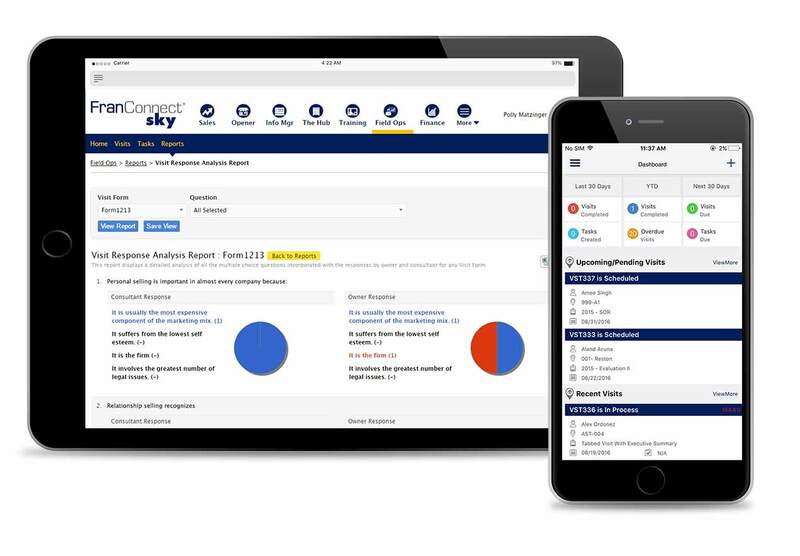 Striking this delicate balance is best done with FranConnect Sky Field Ops, which provides you with the means for standardizing KPI-focused processes, field visits, and reporting for operational success.